Ever dreamed of reaching the skies with ease. 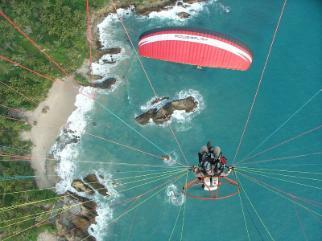 Paramotoring combines Paragliding and a small engine giving you complete control. 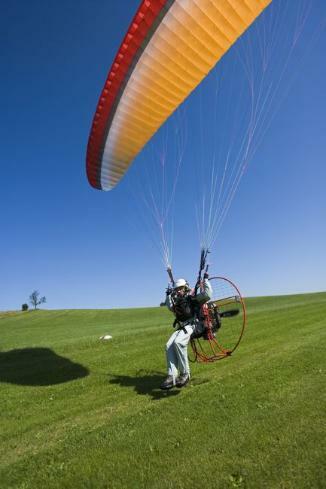 The Paramotor Wing fits in a rucksack and the Paramotor can pack down again small enough to fit in a family sized car. All equipment can be easily assembled within minutes of arriving on site offering aviators the ultimate dream ! Our school follows the EPPA Syllabus leading to a FLM (Foot Launched Microlight) Rating. Our Chief flying Instructor first flew paramotors in 1989, so has a wealth of experience and has invested this experience in the design and manufacturing of related equipment.